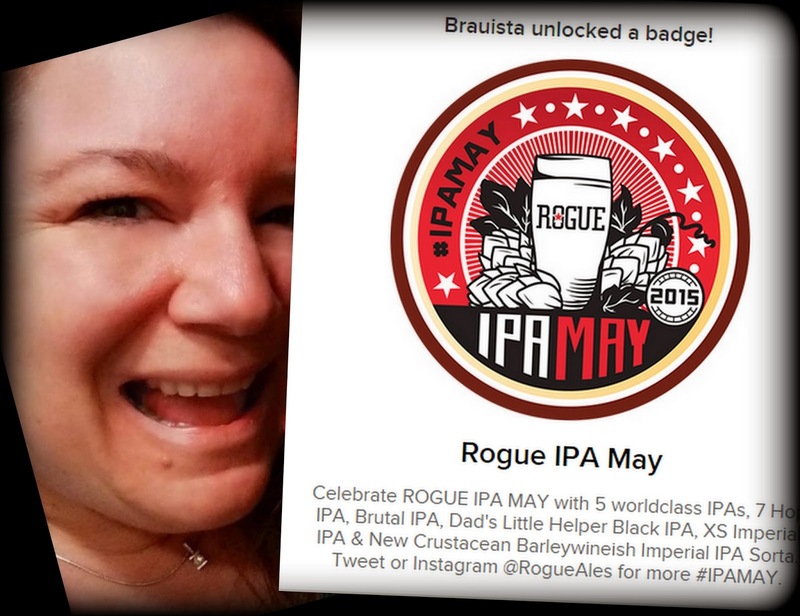 When hubby sent me a message on Facebook letting me know that there was a new Untappd badge -Celebrate May with Rogue IPAs - for drinking some hoppy Rogue brews, it seemed like a pretty good idea to join in on the celebration. 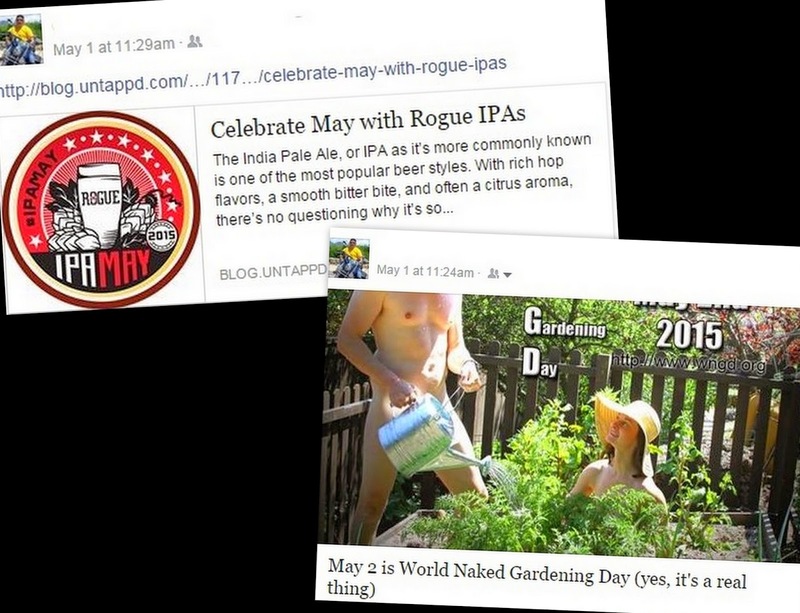 Of course, that was right after he sent me a link letting me know that May 2 is World Naked Gardening Day. Not such a good idea. Watch out for those twigs and berries! 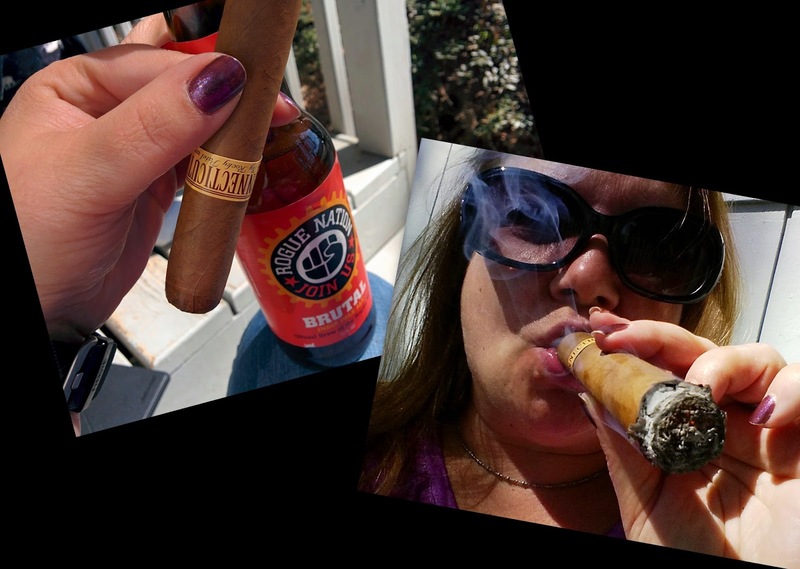 It was a nice day, so I plopped myself into a chair on the deck, kicked back, and settled in to smoke a Rocky Patel & quaff a couple of cold ones. Altogether, not a bad way to spend the afternoon. 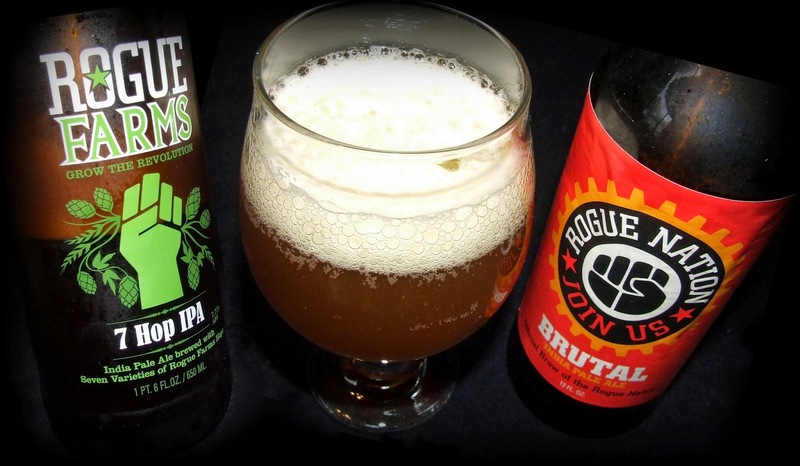 Brutal IPA (5.80% ABV) is an American IPA. I wouldn't call it brutal but I would call it delicious. It pours a hazy, golden amber with a robust hoppy aroma with hints of pine, fruit, and citrus. 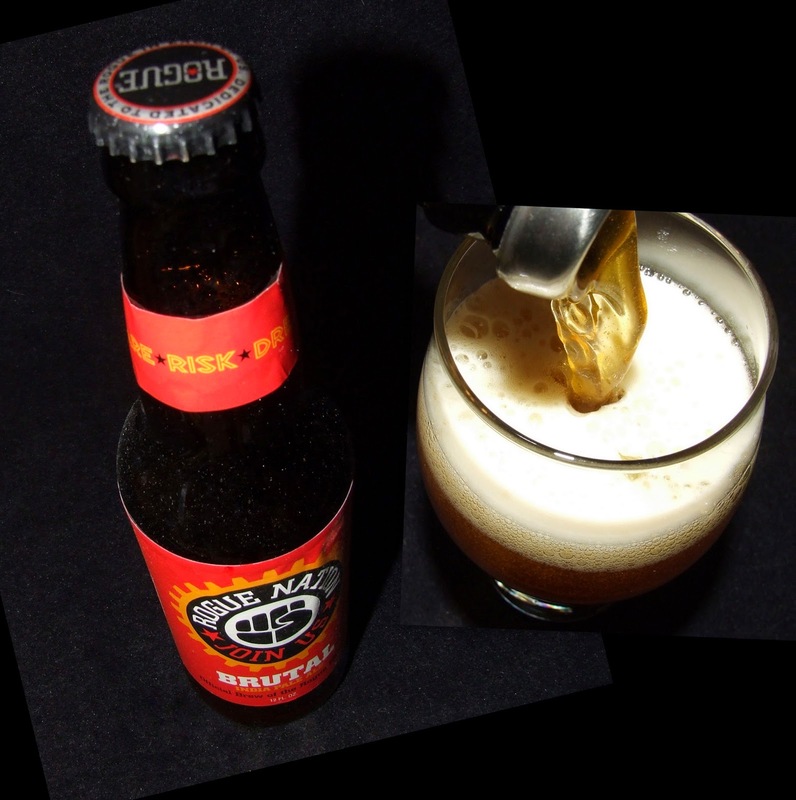 It tastes of sweet malts with a blend of sweet tropical, tart citrus, and earthy hops. Brutal is pleasantly bitter yet mildly sweet. A good balance of flavors that lingers on the palate. 7 Hop IPA (8.02% ABV) is an American IPA. 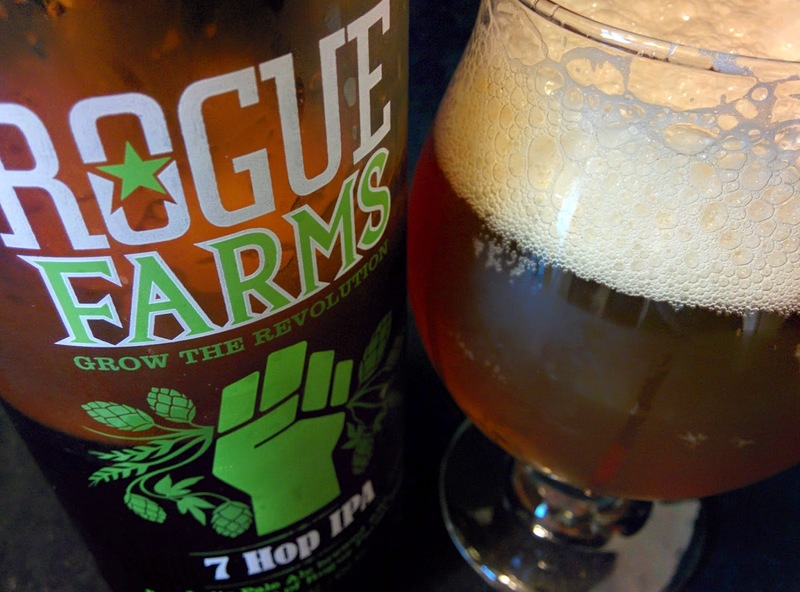 So named because the beer was brewed with all seven varieties of aroma hops grown at Rogue Farms. It pours a cloudy copper color with an awesome lacing head. The aroma is richly hoppy and mouth watering. The taste is big on grapefruit and pine. Deliciously bitter but not palate stripping. A touch of sweet maltiness balances out the flavors. Tasty but not slam-back-able. A delicious sipper.